Chicken Satay Skewers from Amazing Malaysian by Norman Musa. 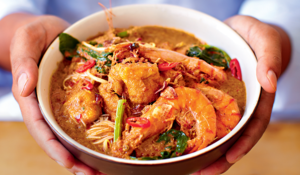 Make your favourite Asian takeaway side dish at home with this Malay recipe. 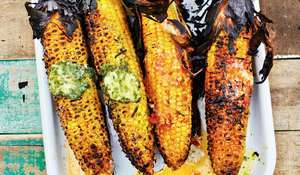 These street food favourites are bound to be a family winner and can be enjoyed as a starter, side dish or light main meal. 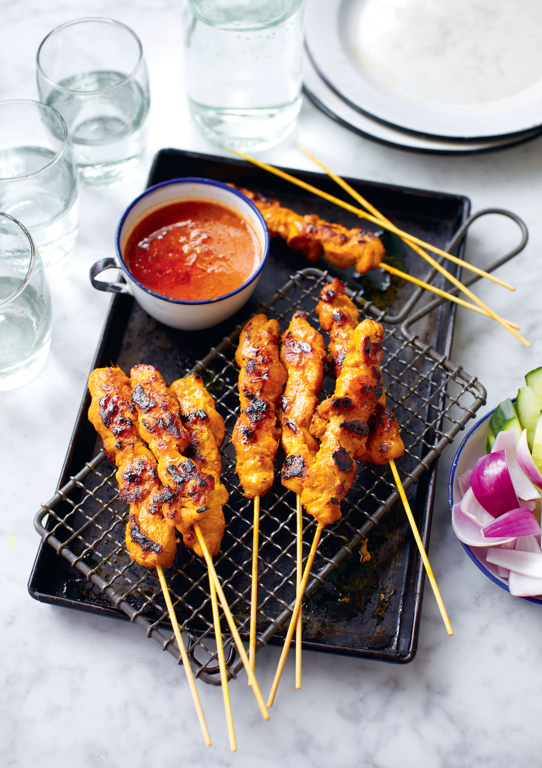 Chicken Satay is always a crowd-pleaser and is an ideal party dish. 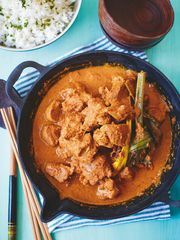 There are many different types of marinade, and this is one of the simplest, giving the chicken a smoky caramelized flavour with a hint of lemongrass, cumin and turmeric. 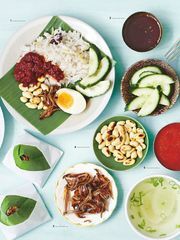 For a complete satay meal, it is served with peanut sauce, cucumber wedges, red onion slices and, if you want to be really authentic, cubes of pressed rice. 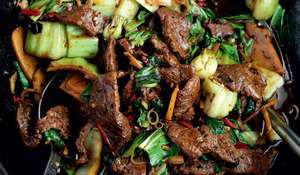 You will need a food processor or hand blender. 1. 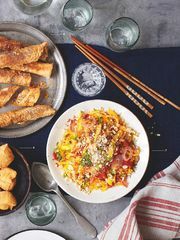 Blitz the lemongrass with a dash of water until smooth, using a food processor or hand blender. 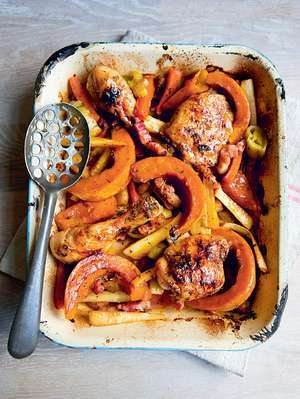 Transfer to a bowl and add the chicken, turmeric, cumin, salt and 3 tablespoons of sugar. 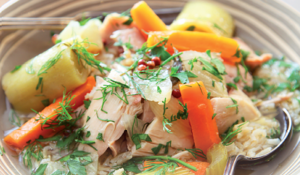 Mix thoroughly, then leave to marinate for at least 2 hours, and preferably overnight in the refrigerator. 2. Carefully thread the chicken pieces on to the bamboo skewers. The meat should cover the skewer to prevent it getting burnt when grilling. 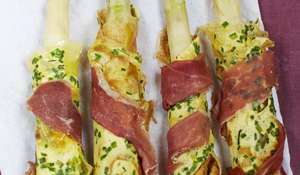 Cover the tip of the skewer too. To make the brushing oil, put the oil, sugar and coconut milk into a small bowl and mix well. 3. 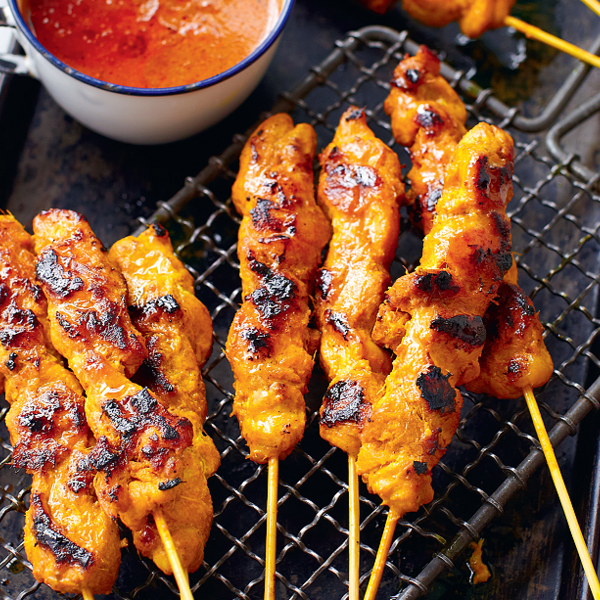 Satay is best when cooked on a barbecue or a charcoal grill; alternatively you can use a griddle pan. Place the chicken skewers on the barbecue or grill and use the bruised lemongrass to coat them with the oil mixture and keep the moisture in. Turn the skewers to make sure the chicken is cooked evenly. 4. 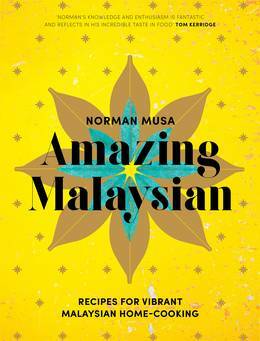 When the chicken is cooked through, and is brown and slightly charred, garnish with the onion and cucumber and serve with a peanut sauce (recipe for Norman's peanut sauce can be found on page 220 of Amazing Malaysian).